Nickolei Milton "Nick" Willems: minister, evangelist and teacher; born 6 May 1920 to Henry H. Willems and Mary Magdelena (Schmidt) Willems on his parent’s farm in the Brotherfield area of Saskatchewan (14 km. west of Waldheim, Saskatchewan). Nick had one older brother Henry and two younger brothers and two younger sisters. He married Elizabeth "Betty" Rempel (26 September 1922, Alexandrovka, Barnaul, Russia - 30 March 2010, Prince George, British Columbia, Canada) in Steinbach, Manitoba on 7 July 1946. They had four children: Elizabeth, Irene, John, and Paul (died at birth). At age 15, Nick made the decision to follow Christ – a decision that brought focus to his entire life. That summer, he was baptized by Henry A. Willems, pastor of the Brotherfield Mennonite Brethren (MB) Church, in the North Saskatchewan River, and in fall, entered Bethany Bible School. After graduation from Bethany, and service as a conscientious objector at Prince Albert National Park, he began studies at Mennonite Brethren Bible College in Winnipeg, where Nick met and married Betty. After graduation in 1947, Nick returned to Bethany Bible School as a teacher. In 1949 the Hepburn MB Church ordained him as a Minister of the Gospel. In 1950 Nick Willems moved his young family to Hillsboro, Kansas and continued his undergraduate studies. After a year in Kansas he returned to Saskatchewan and assumed the pastorate of the Dalmeny MB Church. In 1953 he returned to Kansas and received his BA from Tabor College in 1954. Nick Willems again returned to Saskatchewan and became the pastor of the Woodrow MB Church. A new church building was a highlight of ministry there. He completed his Bachelor of Divinity from the Mennonite Brethren Biblical Seminary in Fresno, California in 1957. 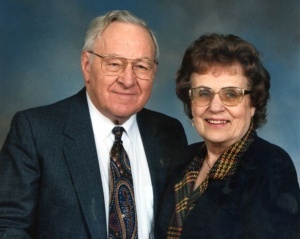 Willems returned to Woodrow, but he loved teaching and when a call came from the Mennonite Brethren Bible Institute (later Columbia Bible College) in Clearbrook in 1959, the Willems family moved to British Columbia. While teaching, Nick also pastored the Kennedy Heights MB Church in Surrey, BC. In 1963 Nick left the Bible School and began full-time ministry at the Kennedy Heights Church. Again a new church building was erected during his ministry. In 1967 Nick accepted a call to pastor the West Portal MB Church in Saskatoon. Revival came to Saskatoon between 1971 and 1975 and during this time Nick and Betty began a revival ministry with Canadian Revival Fellowship. Under its auspices they traveled throughout Canada, the USA, Europe and the Caribbean. Then in 1975 Nick began studies at Fuller Theological Seminary in missiology. In 1977 he became the pastor of the Westwood MB Church in Prince George. While in Prince George he completed both his Doctorate in Missiology (1977) and Doctorate in Ministry (1983) from Fuller Theological Seminary, Pasadena, California. In 1986 Willems retired from full-time ministry, but accepted a part-time position at Central Heights MB Church in Abbotsford. After several years he again retired and began a writing, prayer and mentoring ministry that only concluded with his death in Prince George, BC on 1 October 2008. Throughout his ministry Nick assumed leadership roles in the Saskatoon and Prince George City Ministerial Associations, the Mennonite Brethren denomination nationally and both Saskatchewan and BC MB conferences. He also served on the Columbia Bible College board for many years. A highlight for him was the Leighton Ford Crusade in Saskatoon and then again in Prince George, where he served as chairperson of the crusade. Nick Willems also served on the Canadian Bible Society board as chairperson of the Northern Saskatchewan district. In Saskatoon and in Prince George Nick was active in radio ministry. He also served as camp director at the Sandy Beach and Westbank Camps in Saskatchewan and at Columbia Bible Camp (now Stillwood Camp and Conference Centre), near Cultus Lake, British Columbia. Throughout her life, Betty Willems supported her husband’s ministry by singing in church choirs, beginning church orchestras in both the Kennedy Heights and the West Portal congregations, and working actively in women’s ministries both at a congregational and provincial level. The Melody Ensemble, a group of senior musicians which she conducted for many years, continues ministry in the Abbotsford area. GRANDMA (The Genealogical Registry and Database of Mennonite Ancestry) Database, 6.02 ed. Fresno, CA: California Mennonite Historical Society, 2010: #313157. Willems, Nick. "God Made a Way When There Was No Way: The Story of the Willems Family." Mennonite Historical Society of Brtish Columbia Archives, Abbotsford, BC. Willems, Nick. "Mennonite Contributions to Evangelism in Europe." D. Miss dissertation, Fuller Theological Seminary, 1977. Willems, Nick. "Mennonite Brethren Teaching, Practice and Experience in Marital Matters." Th M. thesis, Vancouver School of Theology, 1975. Willems, Nick. "Pastoral Counselling Based on the Pastoral Epistles." B. D. thesis, Mennonite Brethren Biblical Seminary, 1964. Zook, Elizabeth. "Willems, Nickolei Milton "Nick" (1920-2008)." Global Anabaptist Mennonite Encyclopedia Online. June 2010. Web. 18 Apr 2019. http://gameo.org/index.php?title=Willems,_Nickolei_Milton_%22Nick%22_(1920-2008)&oldid=139598. Zook, Elizabeth. (June 2010). Willems, Nickolei Milton "Nick" (1920-2008). Global Anabaptist Mennonite Encyclopedia Online. Retrieved 18 April 2019, from http://gameo.org/index.php?title=Willems,_Nickolei_Milton_%22Nick%22_(1920-2008)&oldid=139598. This page was last modified on 18 October 2016, at 15:59.